The Ocala, Florida-based Stereoside is a band that I’m surprised hasn’t taken off on radio yet. 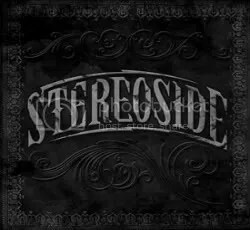 They have a sound very similar to Shinedown or 3 Doors Down, coming across as a “post-grunge” band with some southern rock influences, the only difference is for some reason I actually like Stereoside. And I discovered them purely by chance. I happened to be browsing through some music on Amazon and this album came up as a recommend. I checked out a few samples and really liked what I was hearing. This is the band’s third album (second with singer Jeff Shields, who has an amazing voice) but it was just released in August so I guess there’s still plenty of time for this album to “blow up” as the kids say. Probably with some major label support they could garner a larger following but the radio ready songs are already here from the rockin’ “Trailer Park Scum” and “Risktaker” to the slower paced “Crazy & Paranoid” to the ballad “Walk Alone”. Those are the four standouts to me as far as a single goes. Living in the south and being familiar with what gets play at least in my area, I can definitely see Stereoside having a following around here if people were made aware of them. The whole album is full of songs that would be good to kick back, relax and drink some beers to… it’s just too bad I don’t drink! From top to bottom, there’s really no filler here. I can’t explain it! Usually I wouldn’t give music like this a second thought but for some reason Stereoside has grabbed me and isn’t letting go. I ordered this used off Amazon for only a few bucks just wanting to try something new but not really expecting much and I have to say this is one of the year’s best surprises for me.